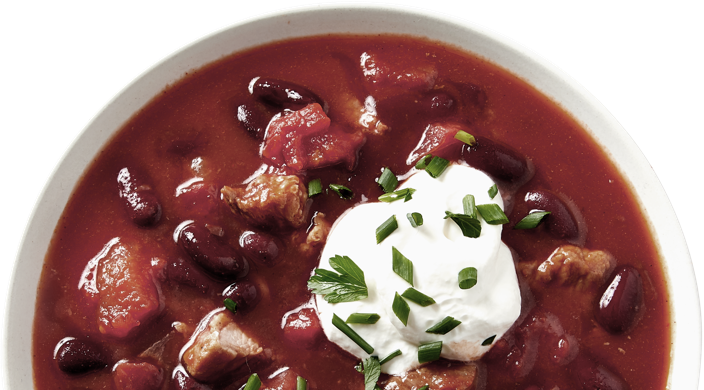 Packed with steak medallions, or devoid of meat completely, every chili recipe is different from the next. 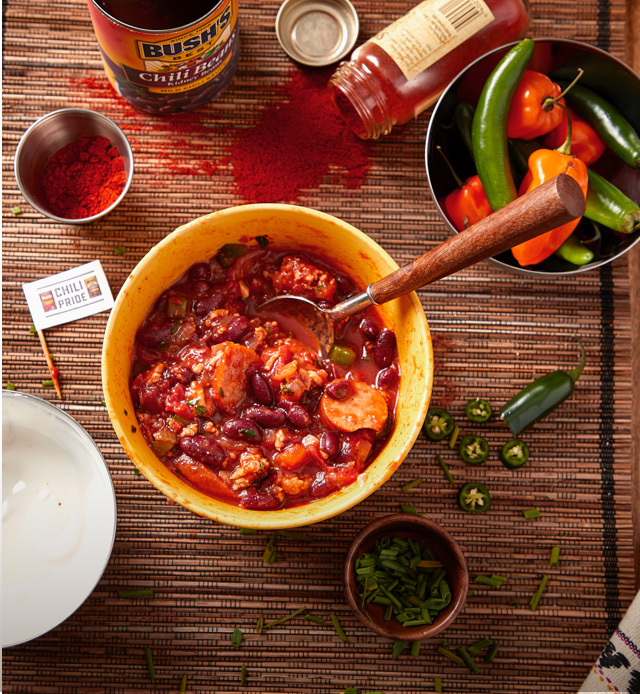 That’s why whenever someone says, “You gotta try my chili” that’s not just satisfaction you hear. That’s pride in their voice. 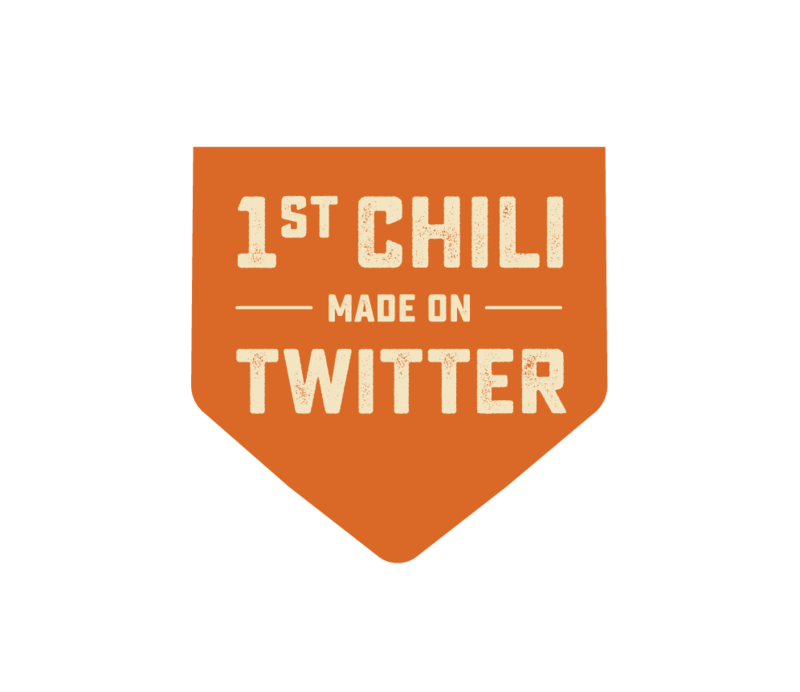 Chili pride. 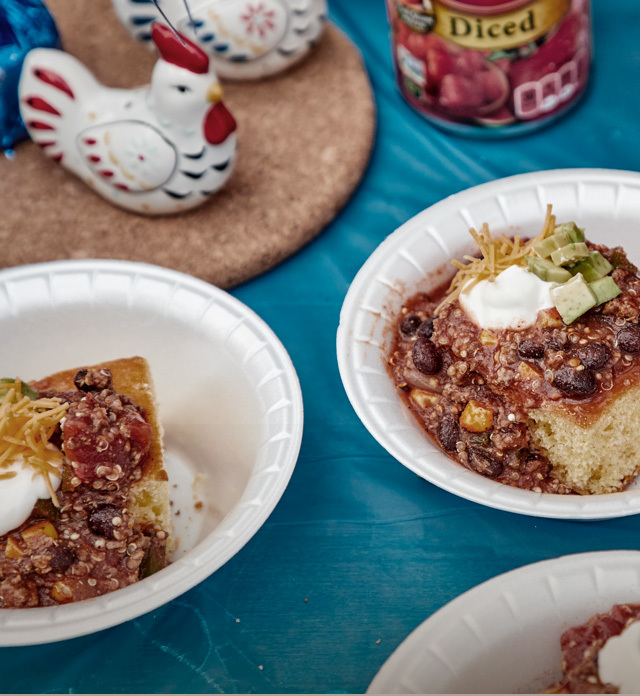 Thanks to the Twitterverse, America came together to make a chili that everyone can agree on. 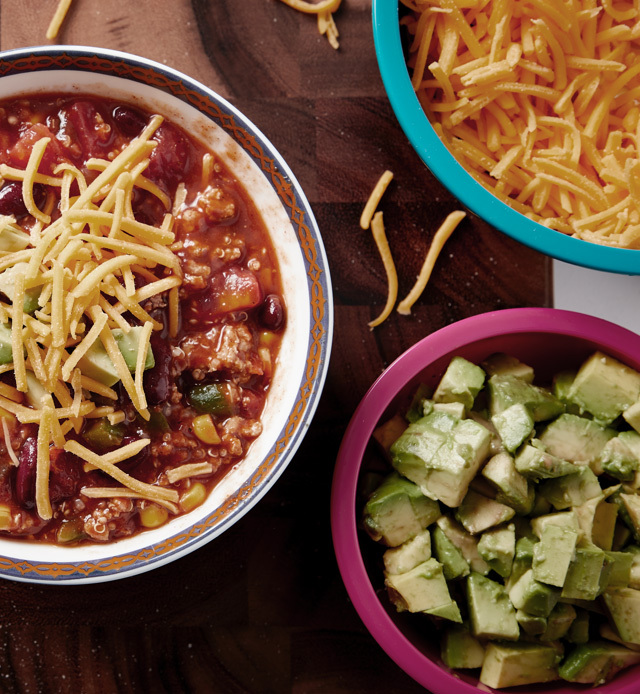 A hearty, delicious, any day, all the days, chili. 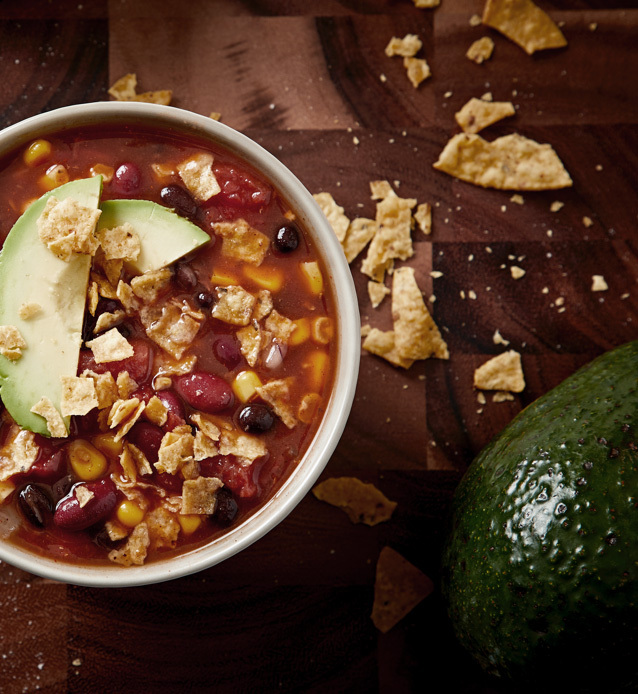 So put your differences aside and grab a spoon. It’s time to feeaasst the only way we know how. 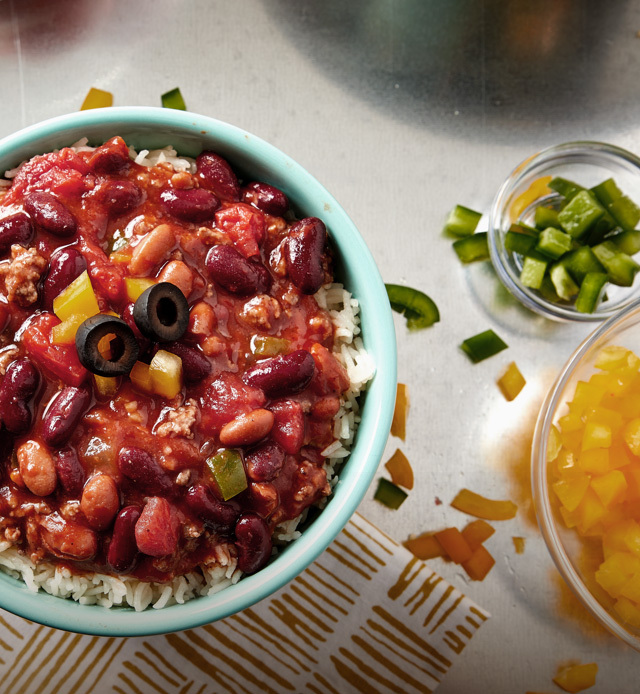 This is where sweet meets heat, baby. Which side's better? Not sure. People’s mouths are usually too full to answer. But I’ll tell you this, every spoonful is a tasty mic drop. When you eat good, you feel good. 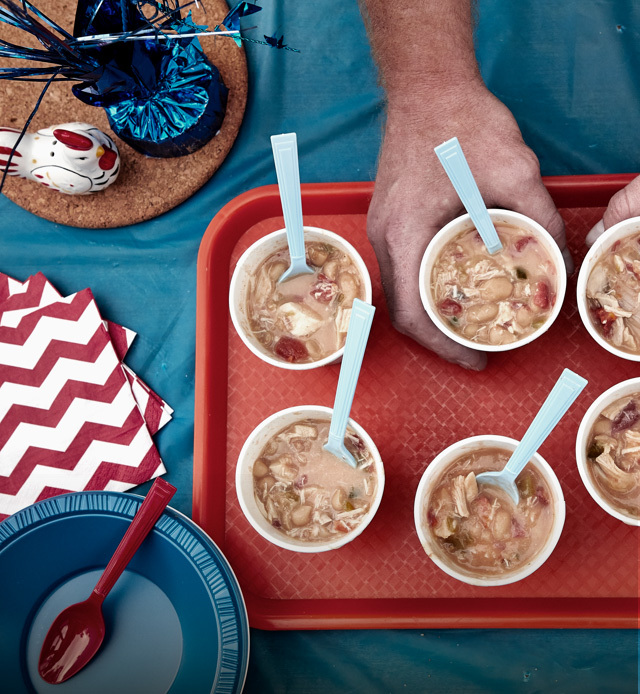 And people leave every empty bowl feeling like a million bucks. This one’s for the haters that said quinoa was a side dish. Here are some things you should know about me: I buy chili powder by the pound. I have travel size paprika in my purse. And I’ve never said yes to: Is that hot enough?… Basically what I’m saying is, have a glass of milk ready. Everyone wants it. Few can get their hands on it. So hike up your big boy pants, bring your appetite, and put that tiny ceramic bowl back, Jack. It's time to feast. 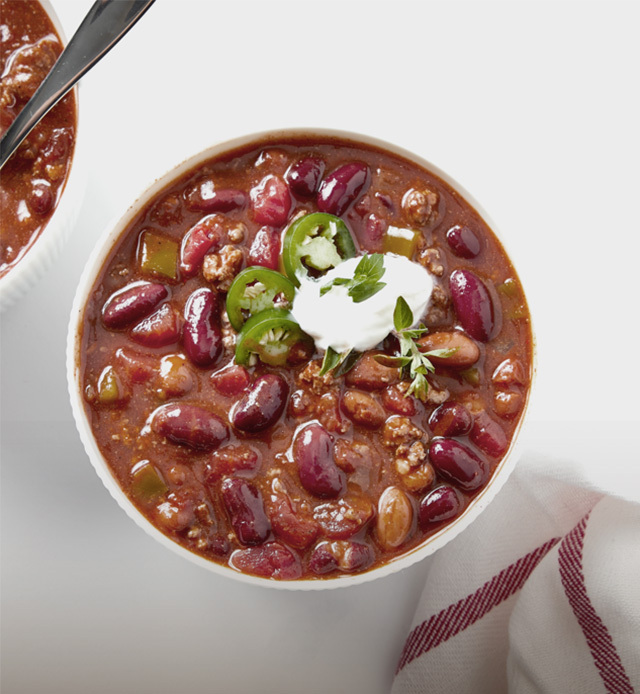 Answer some questions to find out the name of your chili. Cooking is my sport. And the tailgate is my mecca. 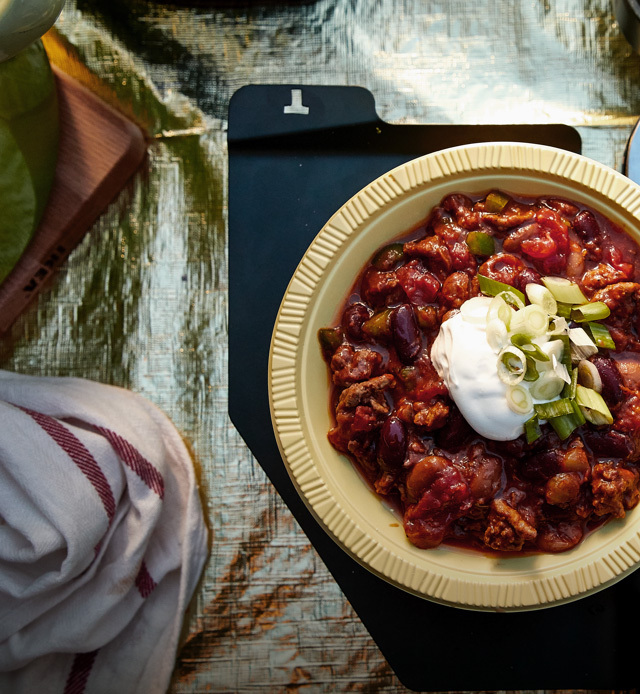 And every week I bring my Sunday’s best for my chili fanatics. 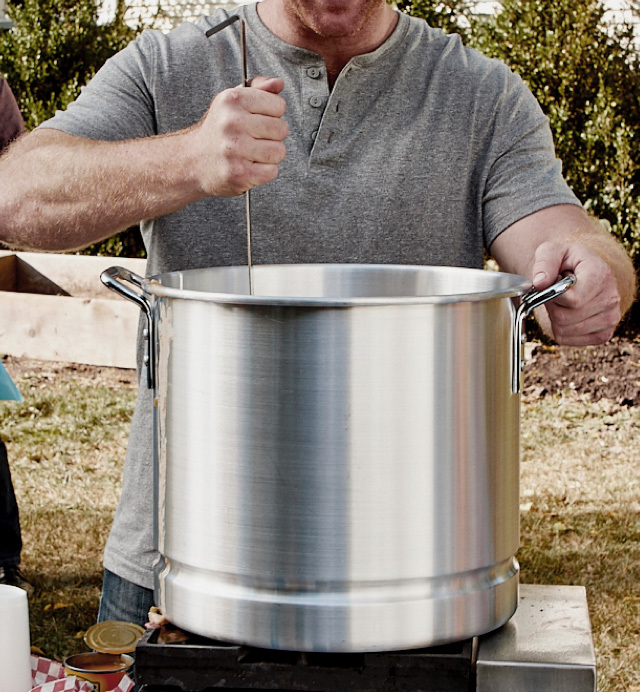 Because when you fuel with flavor, you fuel the fire on the field. Let’s Gooooooooooo. This pot stirs up excitement from all my visitors. Cousins. Uncles. Grandparents. My neighbor, Steve. Even strangers. I’m a hopeless romantic. 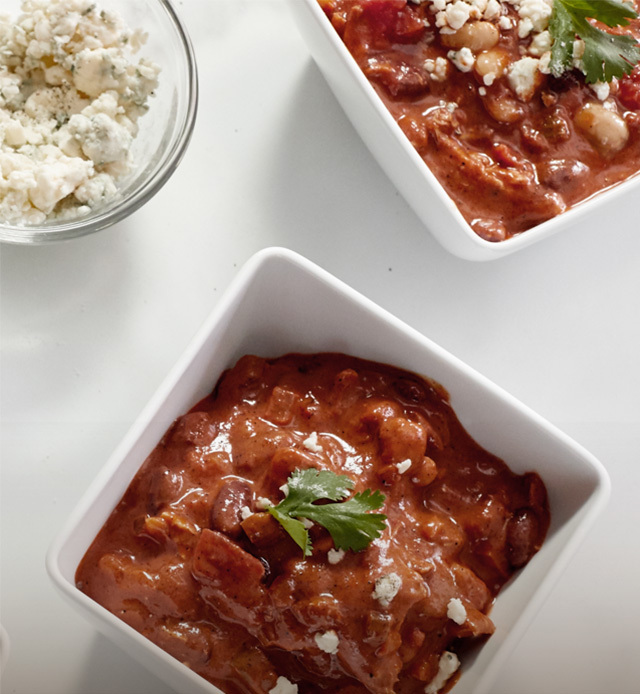 I fell head over heels with this recipe. Even if it was my ex-boyfriend’s mom’s. I couldn’t let this one go. And neither should you. I put buffalo sauce on everything. Literally everything. Wings, eggs, salads, pizza, sushi sometimes. 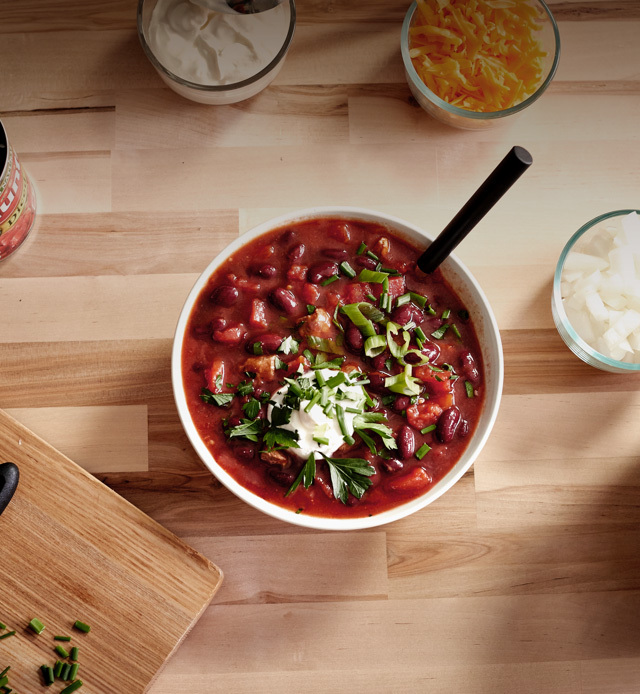 So why not make myself a chili that has everything I love. Yes, you heard that right. This is all for me. I’m sorry, did you want some? 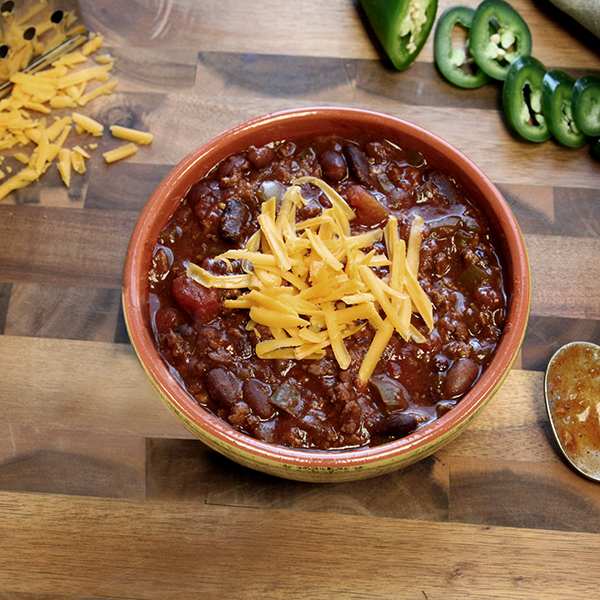 How much spice is the sweet spot when you're making chili?